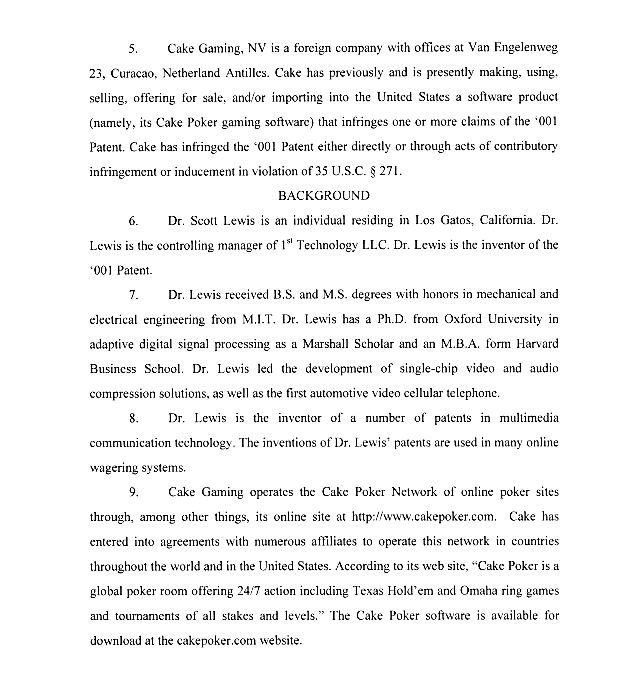 Cake Poker attack by patent troll Scott Lewis, gaming news. 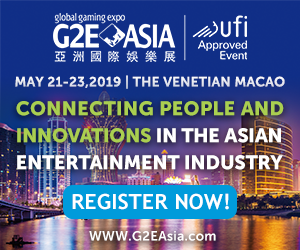 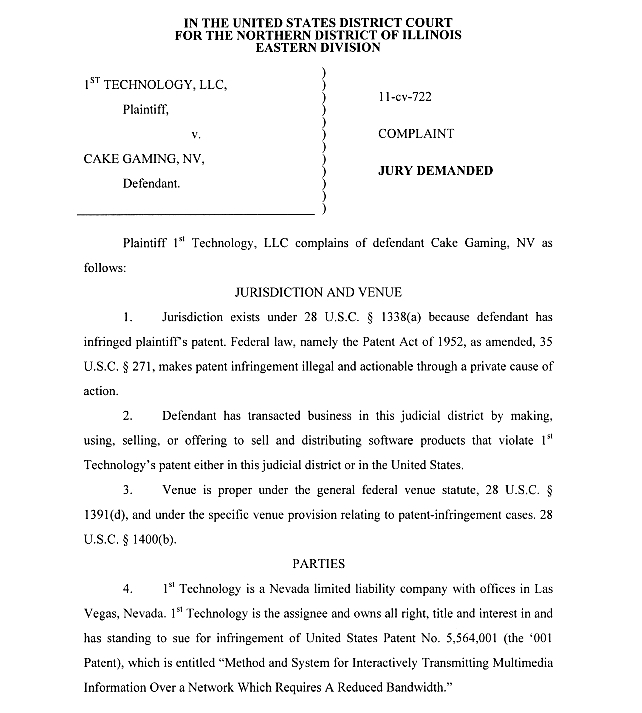 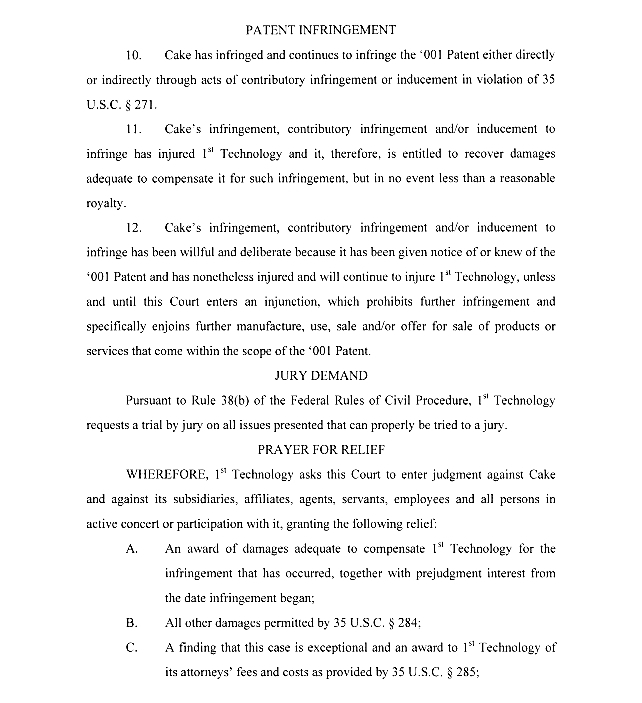 In being targeted by 1st Technology, Cake joins a long and illustrious list of online gaming firms that Scott Lewis has previously trolled, including Sportingbet, Orbis, Bodog, Leisure & Gaming PLC, Digital Gaming Solutions SA, Costa Rica International Sports, Action Poker Gaming Enterprises, SBG Global, Playsafe Holding AS, eCom Enterprises and Digital Gaming Network, Ltd.
For the record, Lewis has never been first to invent any technology, let alone implement any technology into anything tangible. 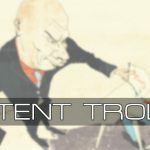 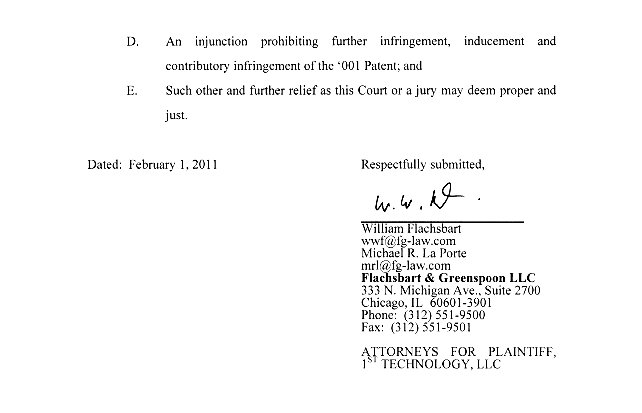 We’ll let Trolly McTrollerson himself explain his business model: “Our initial goal here, as in all of our cases, is to reach swift and fair settlements that respect our intellectual property rights for companies with U.S. facing operations.” Cha-ching!